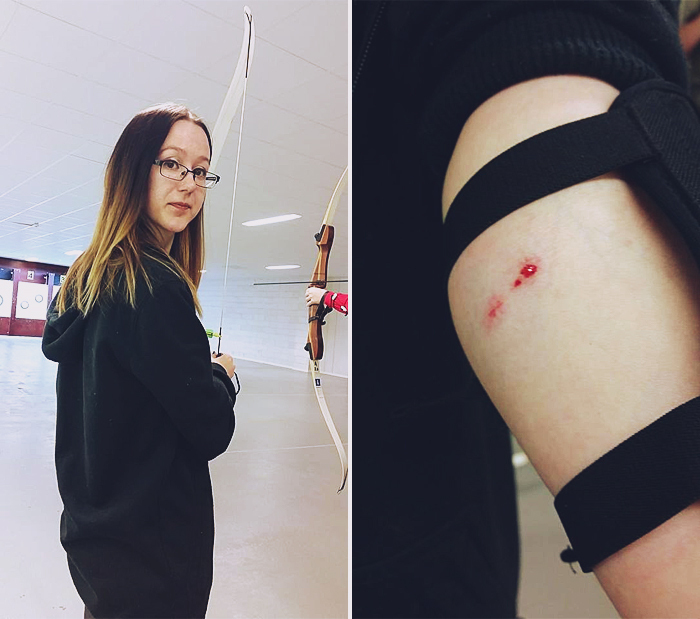 I finally went to the archery range yesterday with hubby! Met him up after work and then went there to try it out. 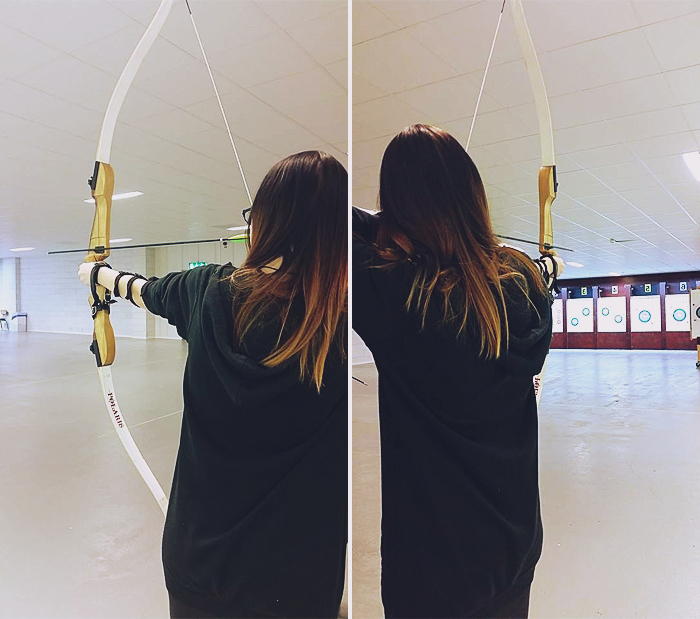 Now I haven't held a bow since I was a teenager and back then it was only to try it out through school and such...But I did okay I think...Besides the moment where I tried to cut my arm off with the bowstring lol. But I have my hubby to train me because I'm a spoiled kitty ^^! Today I was gonna head down to Silverbullet to hang out before therapy but since my tummy acted up during the night I have to stay home and take it easy. Wish I was at work...hm. Vad spännande det låter med bågskytte! Do it! I've wanted to for ages so it's fun to finally be doing it ^^ Thank you! Yeah getting a drivers license and a bike is my next plan x) !! !